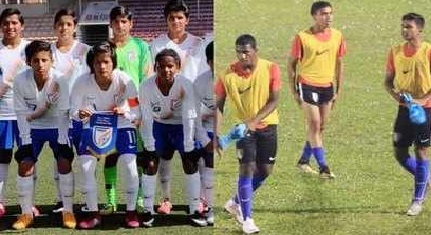 Drawing inspiration from each other’s victories, the Indian under 16 men’s and women’s sides are eagerly eyeing a place in the country’s footballing history. While the U-16 men’s side, currently in Malaysia, aspires to qualify for the FIFA U-17 World Cup, the U-16 women’s team in Mongolia aims to make the AFC U-16 women’s championship final. The Indian girls have already begun their campaign and have won against Hong Kong and Pakistan, while the colts face Vietnam on Friday in their first group stage match. “We wish the boys all the very best for their matches in the AFC U-16 Championship Finals and hope that they will create history. The team has the potential to go a long way and I hope they secure qualification,” head coach of the Indian U-16 women’s national team, Firmin D’Souza said. For the men’s coach the performance of the girls was inspirational. “We have watched the girls win their first two matches and it was inspiration to watch them perform in the manner that they did, “head coach of the Indian U-16 men’s team, Bibiano Fernandes Said. For the players the story is somewhat the same. “It feels like we are playing when we watch the girls team play We even watched the match against Pakistan and were happy when we won. Winning against Pakistan always has a different feel to it,” Vikram Pratap Singh said. “We know the potential of the boys’ team and we know they are capable of scripting history,” Aveka Singh said.